Peter Sommer, with his trusty crook, in the late summer of 1994, back in Istanbul at the end of his first Turkish experience. Gazing out of the window on a train to London last week, I was rather shocked to realise it would shortly be the 25th anniversary of my 2,000-mile walk across Turkey, retracing the route of Alexander the Great. Surely it couldn’t be a quarter of a century since this rather harebrained adventure changed the whole direction of my life! Flicking back through some notes, I discovered that March 21, 2019 marks the 25th anniversary of the first time I set foot in Turkey, which kick-started a long and enduring love affair with the country and sparked a passion for travel. Three days later, March 24 2019, marks 25 years exactly since when I actually began my expedition, taking my first stumbling steps from Troy, with an ancient battlefield near the Syrian border set as a very distant goal. Back in 1994, having finished a Masters in Ancient History and Archaeology at university, I opted to leave the library and dusty books behind, yearning for a more hands-on experience. Alexander was in some ways an obvious example to follow: he too had yearned to explore his world, and I’d studied his campaigns and life in detail. I was inspired by photographs of remote valleys, mountain passes and ancient cities taken by Victorian travellers who had sought Alexander’s trail. In Istanbul, Peter saw the Alexander Sarcophagus in the Archaeological Museum. Discovered at Sidon (nowadays Lebanon) in the 19th century, it depicts most probably the battle of Issus, showing Alexander the Great defeating a Persian enemy. It is usually considered a work of the late fourth century BC, i.e. from within a generation of Alexander’s lifetime. Now, in order to really get a sense of the man and his journey, the longest military expedition ever undertaken, I felt I needed to get out on the ground and travel at the same speed as his army, which meant travelling on foot. Logically, I decided to start my personal quest at Troy, where Alexander first set foot in Asia, and planned to spend the next four and a half months walking as far as Issus, the location of Alexander’s second epic battle against the Persians, just north of the Syrian border. I spent much of the previous year planning the expedition, working out where I was going to try and walk, based on the ancient road system and Alexander’s strategy, asking for sponsorship in the form of tents, water purifiers and boots and writing to would-be patrons for support. Fortunately, Sir Ranulph Fiennes, the explorer, and Michael Wood, the historian and broadcaster, agreed to back my journey. Peter Sommer crossing a wooden bridge in northwestern Turkey on his trek following the footsteps of Alexander. Before setting off to Istanbul, apart from one family holiday in a Spanish resort, I’d never been abroad. 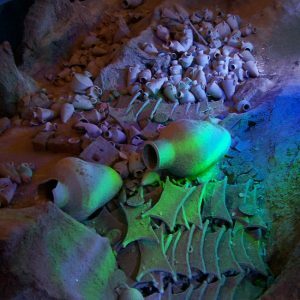 I expected the expedition to be an incredible archaeological and historical adventure. 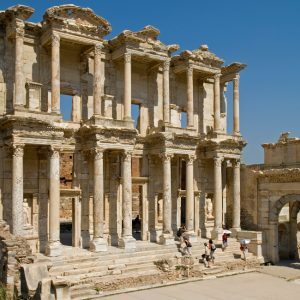 What I hadn’t expected was that my walk would inspire a lifelong passion to travel and explore, that I would fall head over heels in love with Turkey and that by pure serendipity, through a random meeting, I would end up creating and leading archaeological tours that would eventually lead to the birth of Peter Sommer Travels. 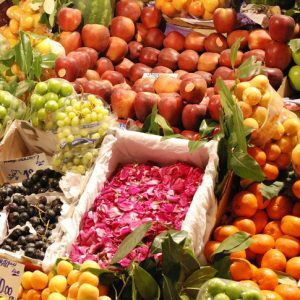 Throughout my journey I discovered the myriad wonders of Turkish cuisine, incredible landscapes and seascapes and an extraordinary number of stunningly well-preserved ancient sites. But it was the spirit and character of the Turkish people that proved the greatest revelation. Time and again I was overwhelmed by their incredible warmth and hospitality. Night after night they welcomed a young, dirty and sweaty foreigner shouldering an overweight backpack into their homes and showered him with foodstuffs to carry the following morning. This in itself was life-changing, but it was a chance encounter that led to the birth of my travel company. When I landed in Istanbul, I had just one contact, John Scott, the British editor of Cornucopia, a magazine about Turkey and its rich culture. I’d never met him but had got in touch to see if he might be interested in me writing a diary of my journey. While I was in his office, his phone rang. Having told the caller that he had a 24-year-old archaeologist with him who was just about to embark on an epic adventure, he passed me the phone. I found myself talking to the celebrated John Freely, the author of countless travel guides and books about history and archaeology as well as a Professor of Physics. He told me to get in a taxi and come and see him at the University where he taught, high on the hills overlooking the Bosphorus. I had already booked a bus ticket to Troy to start the walk and didn’t have long until it departed, but he waved away my anxieties and insisted I come. We spent a glorious couple of hours together in his study, poring over maps and books. For some wonderful reason, he took me under his wing, telling me he’d follow my journey and to call him as often as I could (this was before the era of mobile phones) and that he would assist by introducing me to contacts along the way, which is how I ended up having tea one day with the granddaughter of Turkey’s last Sultan. Peter, high up on the Anatolian Plateau, on the way to Gordion. From Peter’s 1994 photographs: an ancient roadway near Tarsus. At the end of my walk, I flew back to Istanbul and met up with John. He asked me what I was going to do next, before making his own suggestion, “You should start leading archaeological tours”. Prior to that, the travel industry had never occurred to me as a possible career. I have no idea where he conjured that thought from, but for me his words became a prophecy. Within two years I signed up as a consultant to create and lead archaeological tours for a British travel company, Simply Turkey. It was then only a short matter of time before I chose to set out on my own and Peter Sommer Travels was born. John passed away in 2017, aged 90, and I will always remember him incredibly fondly for his unique influence on me. The UK Times reported on Peter’s walk after it took place. If that weren’t enough, the expedition opened up yet another series of opportunities. Not long after the walk, Michael Wood, the celebrated documentary presenter who had become one of the patrons of my adventure, called to say that he had been asked to make a four-hour TV series, In the Footsteps of Alexander the Great, for the BBC and PBS in the US, and would I like to come and work on it. Although I was two-thirds of the way through a PhD., I jumped at the chance and soon found myself in Tajikistan, Uzbekistan and Turkey, once again on Alexander’s trail. By happy accident, I ended up working as a documentary producer/director filming all over the world for the next ten years, all the while running tours in my spare time. From Peter’s 1994 walk: approaching the Cilician Gate, the famous mountain pass in southeastern Turkey, just as Alexander had done 33 centuries before. It’s now 17 years since I began Peter Sommer Travels. I can’t quite believe how time has flown and how my whole working life has been shaped by a series of fortunate strokes of chance, all of which stemmed from a rather foolhardy 21-week hike as a young man. In some ways, 1994 seems a long time ago, but the trip and the experience of walking through Turkey did indeed set Peter on a course that is still continuing. It is surprising how many of what are now Peter Sommer Travels’ Turkish itineraries on both land and water he already touched upon during that first voyage: all of them. Of course, In the Footsteps of Alexander derives from the 1994 adventure, but so do our tours in Ionia, Caria, Lycia and elsewhere in Turkey. Why not join Peter himself, or one of his colleagues, on one of them? 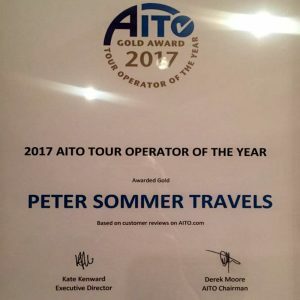 But it goes even further: the passion for travel and exploration that Peter discovered then, and for sharing them with others, has inspired Peter Sommer Travels to move beyond Turkey itself, so that we are now offering tours and cruises in six different countries. It all goes back to that sun-tanned youth and his mad idea! Reading about your epic journey across Turkey in the Footsteps of Alexander the Great, I feel the same excitement as when I joined you on your (first?) long trip following Alexander throughout Turkey. For me, it was a 30-years-old dream that became reality, but the bonus was the very presence of Alexander on every league of our three-week journey. Today, twelve years later I vividly recall the daily surprises of discovering new sites, grandiose landscapes, and centuries-old roads – oh yes, and the great Turkish cuisine! Your Alexander tour left such a deep impression on my life that I continued traveling in Alexander’s footsteps. Inspired by your skills to read the landscape, I explored the maps and devoured dozens of books about Alexander and people who had traveled to the lands he conquered. As a result, I keep seeing Alexander everywhere from the lands around the Mediterranean to Persia, Central Asia and lands beyond. There is nothing like seeing the cities and the landscapes with your own eyes, as you know. Had it not been for your Alexander tour and your thrilling adventurous walk that triggered it all, I would not have caught up with Alexander again, and I would not have visited all those incredible places for myself. What you say Peter about your chance meeting with John Freely, is true for me as far as you are concerned. Thank you from the bottom of my heart for this fantastic trip and for all the other inspiring tours I joined afterward. Congratulations Peter – what an inspiration and legacy!